The EU’s chief negotiator has delivered his most withering condemnation yet of Theresa May’s Brexit proposals, as he insisted accepting the plan would spell the “end” for the European project. 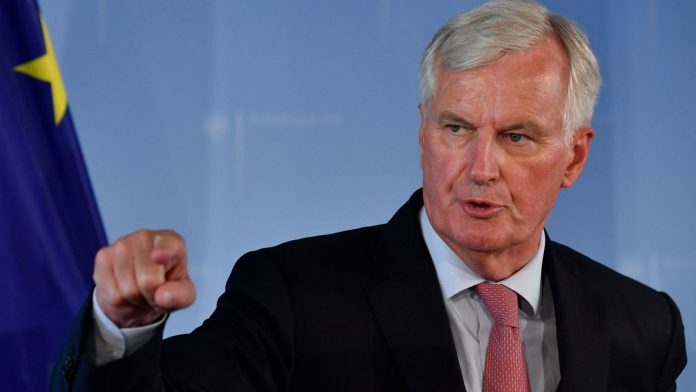 As resistance to the prime minister’s policy mounts in both the UK and Europe, Michel Barnier revealed why he is “strongly opposed” to her so-called Chequers strategy. The European Commission official also delivered a chilling warning for the UK car industry over its future after Brexit. Mr Barnier used an interview with German newspaper Frankfurter Allgemeine Zeitung to largely trash Mrs May’s outline of a future UK-EU trade relationship. 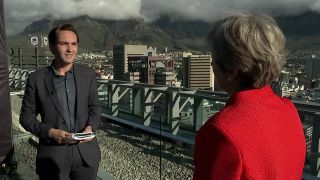 The prime minister has proposed a “common rulebook” for goods to enable frictionless trade between Britain and the bloc after Brexit, along with a “facilitated customs arrangement” to remove the need for extra border checks. However, Mr Barnier suggested the UK’s proposals for future regulatory alignment on goods, while remaining outside the single market, threatened the EU’s future. “The British have a choice,” he said, as reported by The Guardian. “They could stay in the single market, like Norway, which is also not a member of the EU – but they would then have to take over all the associated rules and contributions to European solidarity. It is your choice. “But if we let the British pick the raisins out of our rules, that would have serious consequences. Mr Barnier also declared the prime minister’s plan to levy EU tariffs on behalf of Brussels, in order to bypass the need for post-Brexit customs checks, would be “an invitation to fraud”. Adding to concerns over the post-Brexit prospects of the UK car industry, Mr Barnier claimed EU firms must be prepared to disregard British manufacturers once the UK has departed the bloc, in order to preserve other trade agreements signed by Brussels. “In order for EU carmakers to benefit from the tariff benefits of the EU-Korea agreement, only a certain proportion of the services may be provided in a car in a third country,” he said. Mr Barnier also offered further evidence he has ditched his previous deadline of October for tying up a Brexit deal, stating negotiations must now be concluded by “mid-November”. “We don’t need more time. What we need are political decisions,” he added. Mr Barnier and Brexit Secretary Dominic Raab have agreed to continuous talks from now on in a bid to reach a breakthrough in negotiations on both Britain’s withdrawal agreement and a political declaration on a future EU-UK relationship. 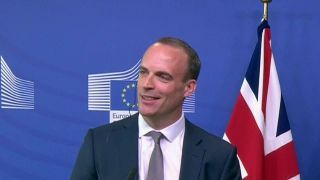 The Sunday Times reported Mr Raab was recently told by Mr Barnier to choose between a future relationship along the lines of the EU’s current partnerships with either Canada, Norway, Switzerland or Ukraine. Mrs May has consistently argued the UK should be offered a bespoke deal. On Sunday, Mr Raab’s predecessor Mr Davis continued his attack on the prime minister’s Chequers plan amid reports of a wider national campaign by leading Tories against her proposals.